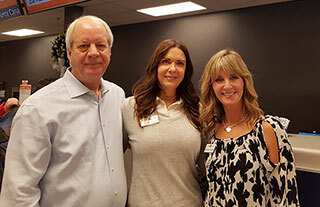 Celebrity's Ken Brooks, Jennifer Barker and Brenda Yeomans at YHM 129 agents and media are joining Celebrity's entire Canadian team enroute to Miami for JetSet fam 2 aboard Celebrity branded First Air. 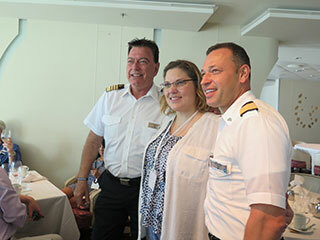 This past weekend, over 100 travel agents from Ontario and Quebec were hosted in Miami on Celebrity Cruises’ second JetSetFam. The group, accompanied by Celebrity’s entire Canadian sales team, was sampling the company’s air-inclusive packages from Canada. The agents were hand-picked with the qualification that they had never set foot on a Celebrity ship. Some were industry veterans while many were newbies to the business and keen to soak up as much info as they could about cruising. And definitely all were impressed with Celebrity’s unique concept of taking clients in comfort non-stop from one of 10 airports in Canada to southern Florida in a seamless experience. Celebrity launched its “All Included” vacations from Canada five years ago and the concept has proven so popular that this winter there will flights from 10 cities across the country including via Canada North from Calgary, Edmonton, Saskatoon, Regina and – new this year, Thunder Bay -- on 8-night packages which include an overnight in Florida. 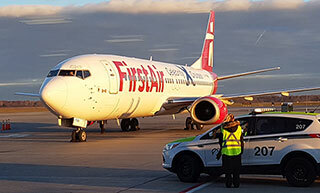 FirstAir B737s serve London, Hamilton, Toronto, Ottawa and Moncton with Celebrity co-branded fuselage. All packages include a 20-kg baggage allowance, hot meals and complimentary bar service on the aircraft, plus transfers in Florida. 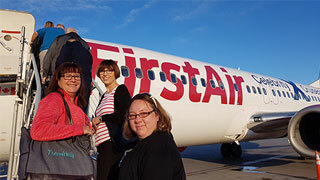 The flight series operates 3FEB to 1APR, though some gateways have fewer flights – Thunder Bay, for example, has just one departure. 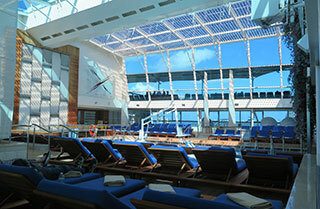 Saturday’s highlight was a detailed inspection of Celebrity Equinox. 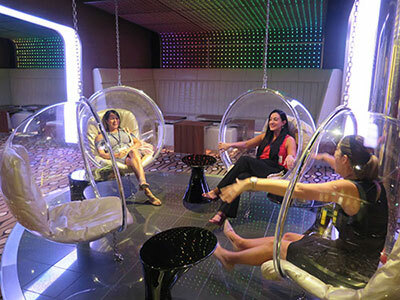 Brenda Yeomans, Strategic Market Manager/Canada for Celebrity and a 33-year veteran with the company -- and the first female Cruise Director with parent company RCCL -- clearly has a passion for all things Celebrity. She was very proud to show of her 126,000 ton “baby,” one of five Celebrity ships in the Solstice Class. 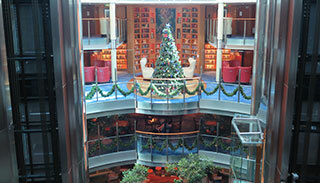 As the crew scurried to make the Equinox shipshape for the passengers about to board, agents were treated to on-the-fly visits to the spa, the specialty restaurants, night club, and some of the ship’s most spectacular cabins including ones with dining rooms and even a grand piano. Inside cabins are, not surprisingly, the most affordable but make a great option for older children when their parents are just cross the corridor in an outside one. Sunday saw the agents knuckle down to the four-hour Five Star Academy to hone their Celebrity knowledge even further. “This was our second ‘JetSetFam’ from Canada and the investment – about $100,000 – is worth every dime,” said Brooks. Checking out the night club!